You thought that you just needed to get good A level results & submit a great personal statement to get into a good law school? That just gets your foot in the door. Now you need to pass the LNAT and / or then impress the university at an interview. The application process may be different depending on the university you apply to, but most institutions will require you to take the LNAT, have a interview, or both. But what exactly can you expect from these two extra stages? What is the LNAT all about? 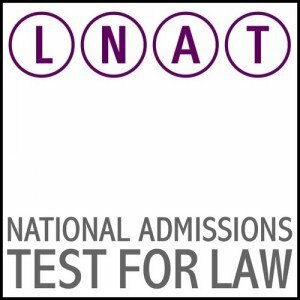 The National Admissions Test for Law (LNAT) is a test which is required to be completed before you can receive an offer to study law at certain UK universities. A good score on the LNAT is likely to increase your chances of obtaining a place on the course. The test consists of two parts. The first part of the test requires you to answer 42 multiple choice questions. The questions are based on a provided passage of text. They will test your comprehension and understanding of the text. The second part of the test is an essay question. You will be required to answer one of the questions out of a choice of three topics. Good use of the English language, a coherent structure and the ability to put forward a sound argument are looked for in this section. The test should last 2¼ hours. The first part of the test is marked by a computer and a score out of 42 is given. The essay question is sent off to the university admission tutors to read. Each university will treat the information obtained from the LNAT in a different way and treat the students application holistically. Because the LNAT is meant to test natural ability, taking a course on “how to pass the LNAT” isn’t recommended. However it is a good idea to do some practice tests on the official LNAT website – http://www.lnat.ac.uk/. Another reccomended idea is to read a respectable newspaper as often as you can because the passages in the will be similar to the ones you need to read during your test. The interview is another tool a university can use to make sure they select only the best candidates to take the LLB. They want to find out more about you & gather more information in order to make a selection. They will be looking for someone who has a strong interest in law, can express themselves well and is genuinely passionate about a university education. The last thing they want is someone who drops out. To prepare you should fully read the university prospectus – especially the bit about the law department! You should have a good general knowledge of the university – they’re not going to ask you to recite the entire history of the university but you should at least know the basics. Knowing your own application is also essential. So make sure you know it off by heart before your interview. Know about your experience, your academics and your strengths and weaknesses. It’s not going to look good if you’re asked about something on your CV by the interviewer and you have no idea what they’re talking about! You probably won’t be asked any specific legal questions but you should at least have a rough knowledge of the latest legal developments. So watch the news or read a reputable newspaper. Obviously pay special attention to the legal news stories. Why do you want to study at [university name]? What are you looking forward to from the university experience? Why should we accept you onto the course? If you’ve not had an interview before it may be a good idea to have a friend / family member / tutor give you a mock interview. After the university have all the information they need to make a decision, it’s time to play the waiting game. Remember more than one university may ask you to interview – try and reflect on your performance after each interview and see if there’s anything you can do to improve!